Compassion is much more than a state of mind. That's because it has the power to move people to act on behalf of others. 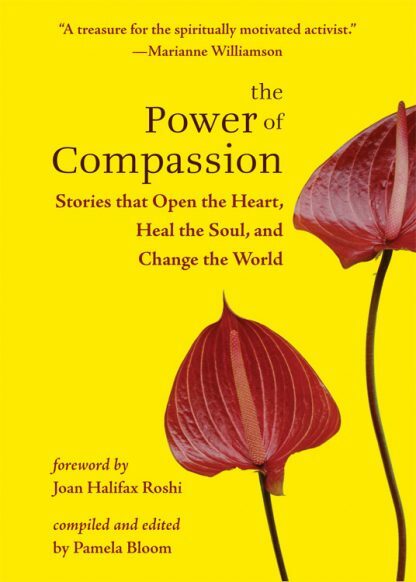 Here more than forty, first-person stories by the likes of John F. Kennedy, Jr., Pema Chodron, Barbara Brodsky, Thich Nhat Hanh, Jay Jarvis Masters, Joan Halifax, and Sogyal Rinpoche that demonstrate how compassion can be a dynamic force that achieves concrete consequences. In one story, a monk welcomes a dying child into his home, providing the boy with practical care and a sense of peace during the boy's last nine months of life. In another story, a civil rights protester learns from a cellmate how to find compassion for those she once considered to be the "opposition." In stories as gripping as they are inspirational, it becomes abundantly clear that intentional acts of kindness are nothing short of life-changing--and sometimes even world-changing. The writings collected here also prove that while our compassion aids others, it is also a mighty force that opens our own hearts. Pamela Bloom believes compassion is contagious. She has compiled a timely book for times worth changing. Pamela Bloom is an award-winning freelance writer and consultant with a special interest in healing. She is the editor of Buddhist Acts of Compassion, author of Brazil Up Close and Amazon Up Close, both of which won the Lowell Thomas Award for Travel Journalism, and On the Wings of Angels, about angel lore. She lives in New York state. Read her blog at: www.thepowerofcompassion.wordpress.com.